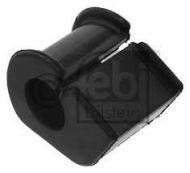 Wishbone Lower Arm Balljoint for Citroen C1, Peugeot 107, 108, and Toyota Aygo. Fits either side. Budget Front Suspension, anti roll bar, drop link. Citroen C1, Peugeot 107, 108, Toyota Aygo. Fits either side. High Grade Front Suspension, anti roll bar, drop link. Citroen C1, Peugeot 107, 108, Toyota Aygo. Fits either side. Front Lower Arm Wishbone Complete Repair Kit, with Track Rod Ends, Link Bars, etc. Full kit for front lower arm replacement. High Specification Components. For Citroen C1, Peugeot 107, 108 and Toyota Aygo. Shock Absorber Unit - Front Left - Exceeds original specification - Boge Brand Citroen C1, Peugeot 107, 108 and Toyota Aygo - Fits all models. 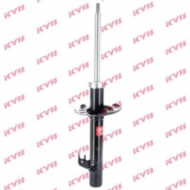 Shock Absorber Unit - Front Left - Race Spec - KYB Excel G Citroen C1, Peugeot 107, 108 and Toyota Aygo - Fits all models. 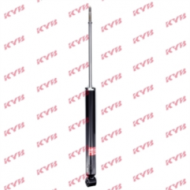 Shock Absorber Unit - Front Right- Exceeds original specification - Boge Brand Citroen C1, Peugeot 107, 108 and Toyota Aygo, fits all models. 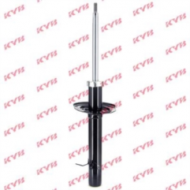 Shock Absorber Unit - Front Right - Race Spec - KYB Excel G Citroen C1, Peugeot 107, 108 and Toyota Aygo, fits all models.